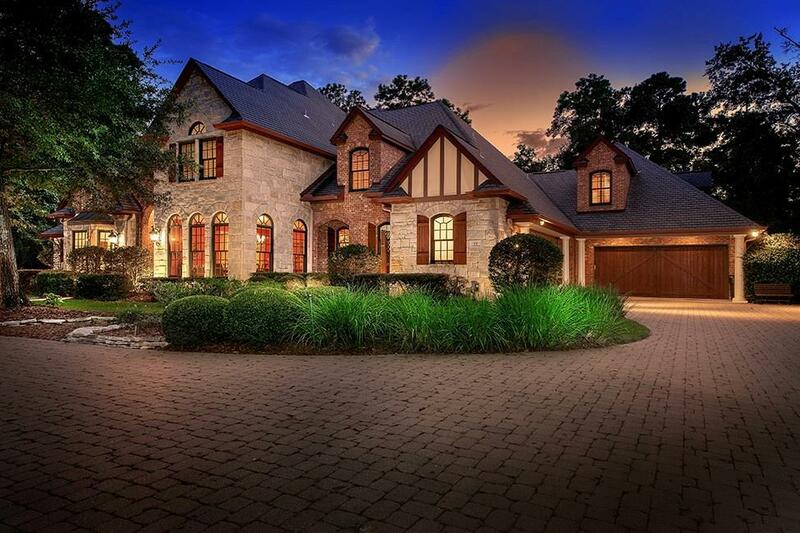 Magnificent Stephen Hann custom French Tudor style home designed by Jim Van Paschen in guard gated golf course community of Carlton Woods Nicklaus! 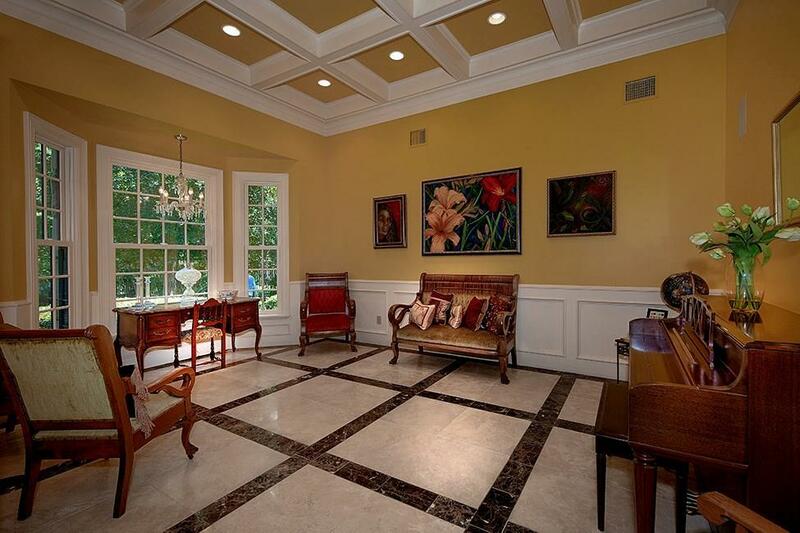 Nestled on a 0.9 acre private lot w/circular drive & oversized 5 car garage! Sweeping staircase w/wrought iron railing, custom flooring, wood encased windows, crown moulding & stunning architectural detail. Two master retreats down (2nd master has full bath & kitchenette); Third bedroom down is a 900 sf mostly ADA compliant suite w/full bath & private entrance from outside with wide doorways, toilet & vanity made to accommodate a wheelchair - ideal for in-law suite! Remodeled island kitchen w/natural quartzite stone counters, professional SS appliances, double oven & custom cabinetry overlooks breakfast rm & den; both formals. 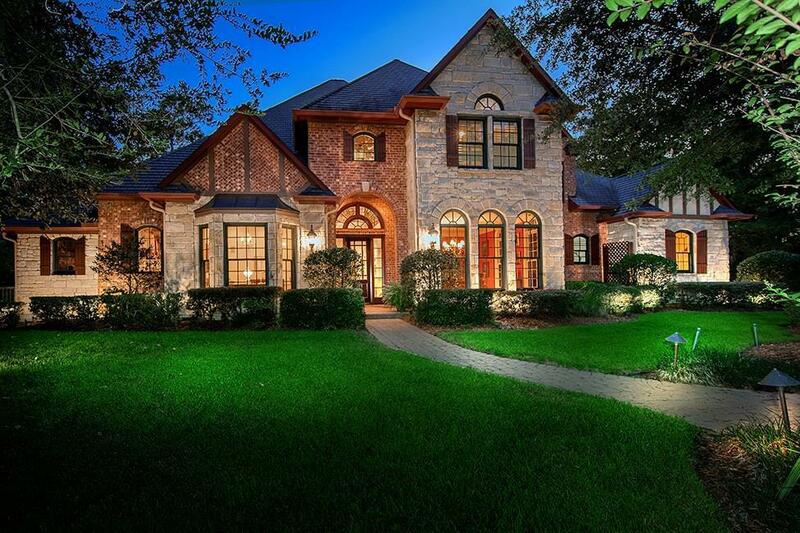 Four generous bedrooms upstairs have en-suite baths; media room, study/office & GR up w/balcony overlooking pool/spa & wooded backyard; private fenced yard has resort-like feel w/covered patio & outdoor kitchen.